Since 2016 Delahaye Moving is the French partner of Vault Couture, the London based expert in wardrobe management. Vault Couture offers Delahaye Moving customers a dedicated storage area, under permanent temperature and humidity control with purified air, optimal conditions for the storage of valuable clothes and accessories. 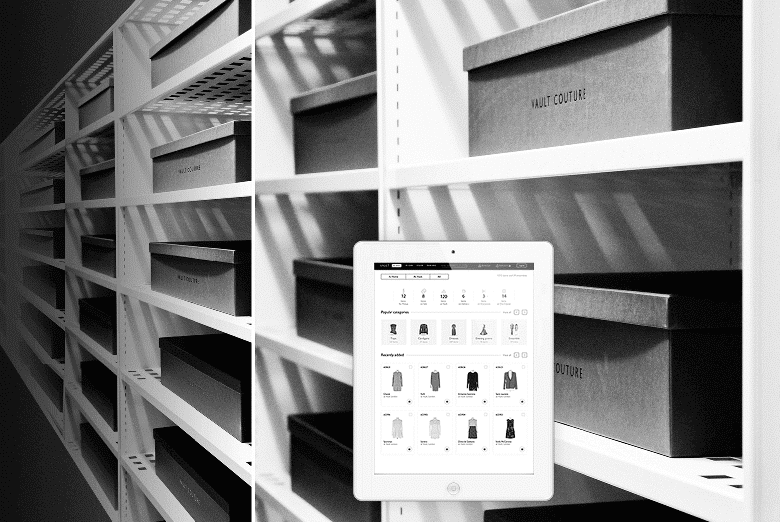 A professional picture and a detailed description of all garments are uploaded to the Virtual Vault application, allowing Vault Couture customers 24/7 access to manage and control their virtual wardrobe. Delahaye Moving can offer its customers a removal and reorganisation of their wardrobes by experts trained by Vault Couture in their methodology.